Why are we succeeding in Iraq – or are we? For all those readers who care about counterinsurgency – how to wage it, what we have done wrong in Iraq, what we have done (and are doing) right in Iraq, and what the campaign in Iraq does for our doctrine – there is a discussion thread at the Small Wars Journal that in our opinion is the most important one that has been started. Without hesitation and in no holds barred fashion, it became a fascinating and most useful strategic slug-fest of competing ideas and narrative accounts of the campaign in Iraq. If the main stream media reports have become boring and repetitious and the blogs have become outlets for talking points, this kind of discussion is at the same time professional, honest, forthright and intellectually complex, and should be engaged by all professional military who want to learn about both making war and peace. This dialogue should be studied in war college classrooms across the nation. We are linking it here (and also providing comments concerning this thread) because we have a number of readers who do not routinely traffic the Small Wars Journal. While we will give some background, for the comments here to be in their proper context, the discussion thread must be studied. 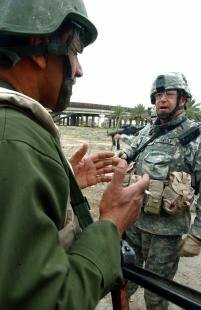 During the year I commanded a combat battalion in West Baghdad in 2006, some of the soldiers in our outfit were wounded and some were killed, but we did not fail. In my opinion we succeeded. We cleaned up garbage, started to establish neighborhood security forces, rebuilt schools and killed or captured hostile insurgents, both Shiite and Sunni. Our fundamental mission was to protect the people. Other combat outfits we served alongside did the same. In this sense there is little difference between what American combat soldiers did in 2006 and what they are now doing as part of the “surge.” The only significant change is that, as part of the surge strategy, nearly 100,000 Sunnis, many of them former insurgents, were induced to stop attacking Americans and were put on the U.S. government payroll as allies against Al Qaeda. This cash-for-cooperation tactic with our former enemies in no way diminishes the contribution of the soldiers and marines who are on the ground now. On the contrary, soldiers, sergeants, lieutenants and captains are struggling harder than ever to bring stability and peace to a complex society scarred by years of brutal violence. Much talk has come from expert analysts, army officers and U.S. presidential candidates touting the success of the effort implemented by General David Patraeus. Many of these individuals compare the success of the surge in 2007 with what they see as the failure of American forces in Iraq in 2006. But the combat battalion that I commanded in the 4th Infantry Division was a part of that so-called mismanagement, or what other, perhaps more direct critics, have referred to as failure. On one level, my response to such statements is admittedly raw and visceral: If I was hunkered down on Fobs and if I and my men had pretty much quit the country in 2006, then how did soldiers under my command “just get dead?” What now am I to tell their families? I remember a medic in our battalion, his combat patrol hit by multiple roadside bombs, moving under potential enemy fire to save the life of a local Iraqi man who had been seriously wounded in the attack. This medic was decorated for valor. He understood our primary purpose in Iraq was to protect the people. But we should call a spade a spade and acknowledge why violence has dropped. Politicians and political analysts may make false comparisons. The political motivations for such assertions are obvious. Yet American soldiers who fought bravely and bled in Iraq in in the years before the surge have become victims of American politics. We deserve fairer treatment. The responses in the discussion thread have a broad range, beginning with the short and (we think) correct observation by Professor Steve Metz that “the position that U.S. troops are now doing something different than before is a minority one. What I hear is that most people who know anything about Iraq recognize that by 2005 at the latest, our units were doing the right things. There just wasn’t enough of them.” This is an important comment, and one to which we will return later. At the Captain’s Journal we also hold the truth in high regard, and because there has been such disagreement on the Anbar campaign, we started the category Anbar Narrative. In order to address some of Gentile’s points, we will use an operation with which we are intimately familiar: Operation Alljah, begun in April and essentially ending in October of 2007 with the return of 2/6 (although officially ending prior to that). 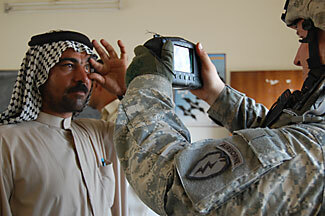 The middle and subsequent phases of the operation used many modern techniques to inhibit the insurgency, such as gated communities, biometrics (retinal scans, fingerprints), and census taking. However, it is clear that the early stages of the operation and going into the middle stages involved heavy kinetic operations and force projection. To be absolutely clear, military power set the pretext for the campaign and allowed the balance of the methods to be successful. The force projection included combat operations, intelligence-driven raids, constant dismounted patrols, heavy contact with, questioning and deposing of the population, and high visibility within Fallujah proper and the Euphrates river basin towards Baghdad. Prior to Operation Alljah there had been moderate to significant success in counterinsurgency efforts in the balance of Anbar, depending upon the location. Foreign fighters (Arabs, Africans, Chechens and Far Eastern fighters) and some indigenous insurgents had been driven to Fallujah as the last relatively safe place for them in Anbar. They owned the streets of Fallujah in the first quarter of 2007 and were protecting a very large weapons cache in the industrial area (which included small arms, heavier weapons and chlorine). They were also using Fallujah as a base of operations from which to launch operations into Baghdad. The unit 2/6 replaced had flatly stated that Fallujah could not be won. Into this came the Marines of the 2nd Battalion, 6th Regiment. As Bill Ardolino cites from the Marines he interviewed, the Marines with 2/6 came in hard (“the whole persona of the 2/6 [Marines], the way they’re running operations, is to provide for the citizens. The IPs [Iraqi Police] are like that too, they’re out there engaging the people. They [used to get] attacked so much that they were a military force, doing military-type operations. When they showed up, they showed up hard. Now it’s more ‘Hey what’s going on? How are you doing? What can we do for you?’ It’s yielded huge gains.”). They found transition to food bags and civil affairs missions hard and boring, but made the change and eventually turned over a relatively stable and safe city to their replacements. The indigenous insurgents went home (many to Lt. Col. Bohm’s AO in Western Anbar), and the foreign fighters – the ones who weren’t killed by the Marines – made their way North to Mosul, Kirkuk and other areas of the Diyala Province. The deployment of 2/6 to Fallujah was planned prior to the so-called surge, and yet contrary to the well worn notion of tribal leaders, Operation Alljah didn’t make use of or have any reference to tribes. The Marines made significant use of the muktars, or city leaders and block captains. The populist understanding of the campaign in Anbar involves tribes “flipping” to support the U.S. A Google search on the words “sheikhs turn against al Qaeda” yields more than 300,000 sources, and the year 2007 is rich with main stream media reports of the Anbar awakening. To be sure, the tribal revolt against al Qaeda was important, and without it, Anbar may not be as safe as it is today. Another (still incomplete) narrative of the Anbar campaign involves what Gentile discusses – the U.S. implemented a strategy to pay off the indigenous insurgents. This narrative is only slightly more sophisticated than the populist version, and sees the strategy to pay the indigenous fighters as without pretext and disconnected from the previous two or three years of combat operations. The pundits talk about the tribes, but the Marines talk about kinetic operations inside Ramadi to provide the window of opportunity for the tribes to realign their allegiance. Costa … dedicated a portion of his time to cracking the insurgents’ methods of communication. Ironically, in Ramadi — the city formerly paralyzed by insurgents, where Costa was unable to set foot in public during daylight hours upon arrival — citizens participated in a 5K “Fun Run” in September. Regarding the payment to concerned citizens, a tactic we have strongly advocated here, it wasn’t as if U.S. strategists awoke one day and realized that payment might help to pacify their area of operations. Rather, as observed by one commenter to this discussion thread, “relentless pressure” by coalition troops and the psychological affect of the surge (to convince them that the U.S. had no intention of leaving) were pre-conditions to successful implementation of this strategy. While payment to sheikhs is larger, the payment to individual citizen’s watch members is no more than a pittance. Whether tribal leaders, muktars, payment to concerned citizens, or operations from a combat outpost or FOB, there are many narratives coming from OIF. Even when the 2/6 Marines pushed al Qaeda from Fallujah, there was still some degree of “whack-a-mole” counterinsurgency as they deployed to Diyala. And hence, we are back to the comment left by Steve Metz at the beginning. We never had enough troops to successfully implement counterinsurgency across Iraq. In many ways the Marines in Anbar didn’t either, and took the losses associated with this lack of forces. Intelligence-driven raids, close contact with the population, and constant dismounted patrols can be implemented from FOBs or combat outposts. The location where Marines or Soldiers live takes on secondary or even tertiary importance to intelligence-driven operations, intensive contact with the population and enemy, and force projection. Gentile is correct if his objection to the populist narrative is that it should not be seen as an exclusive narrative. The campaign is much more complex than that. However, before long in the discussion thread, Gentile digresses into a common meme over which we have engaged (that Iraq is in a civil war). We have the utmost respect for Gentile, but if there can be no comprehensive and all-inclusive narrative for the campaign for him and his reports, then the comprehensive narrative of civil war cannot apply either. There is no doubt that there was a low grade civil war in Gentile’s AO, and perhaps there still is in parts of Iraq. Perhaps upon the eventual drawdown of U.S. troops there will be a return to factious warfare. Then again, perhaps not. But as for Anbar, there never was and is not now a civil war. Of the many Marines we have debriefed following Operation Alljah, the consistent report is that “We killed Chechens, Africans, and men with slanted eyes – we don’t know where they were from. But we didn’t kill a single Iraqi.” Lt. Col. Gentile’s battalion was engaged in combat operations and protection of the population, no matter the populist narrative of troops sitting at FOBs eating ice cream. Payment to concerned citizens and tribal participation in their own defense required a pretext and are good and wholesome and anthropologically sound tactics, no matter that the populist narrative chides the U.S. for “buying off” insurgents. Civil war can describe parts of Iraq, but certainly not all of it. The AOs are too diverse, and after all, the campaign for Iraq remains a complex affair that has proven unfriendly to populist narratives. This advocacy for involvement in small wars on our part can be misconstrued, however, to intend the diminution of the Air Force proper, and some analysts have gone on record advocating not just the diminishing of the Air Force, but the complete reorganization of this branch into the other branches of the U.S. Armed Forces, in a role subservient to the needs of the specific branch to which the assets have been assigned. But are these calls for busting up the Air Force really strategic, and if so, how forward reaching is the underlying strategy?